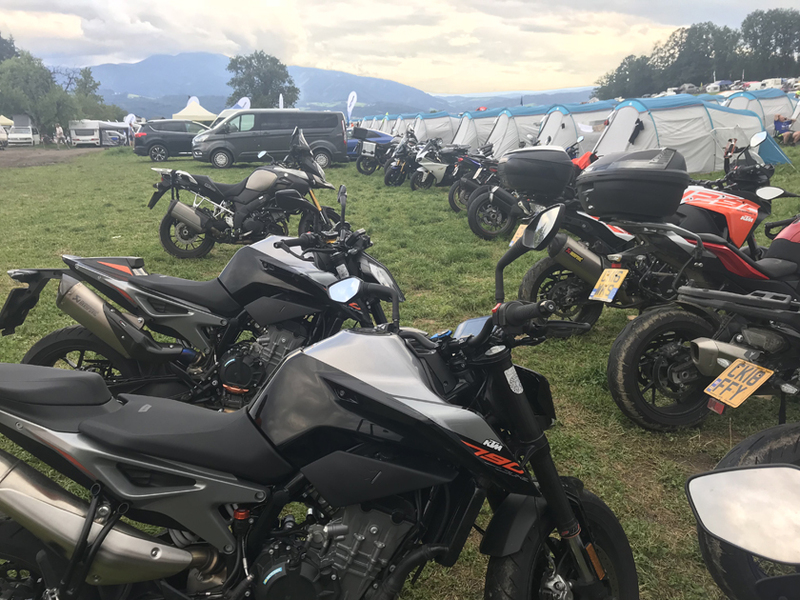 It’s MotoGP weekend in Austria and the rain hasn’t let up since Thursday evening – and we’re contemplating swapping our brace of KTM 790 DUKES for jet skis. 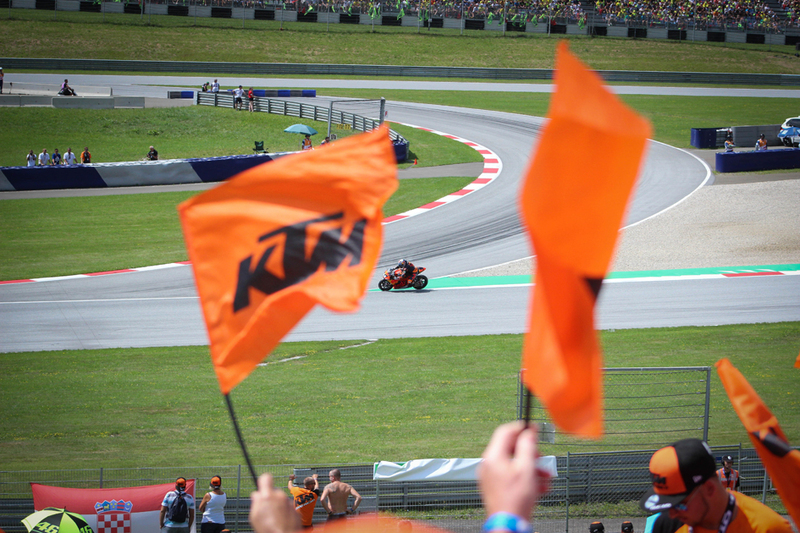 We’re heading to the Spielberg Ring the long way round, starting at the home of KTM in Mattighofen. Our route is a 2000 km, 4 day round trip which will take us to Santa Maria in Switzerland, dropping into Italy via the Passo Del Stelvio, before a short flirt with the autobahn in Germany on route to the track. We’ve got two KTM 790 DUKEs at our disposal. One is completely stock standard, bar a factory-fitted USB outlet. The other has been decked out with a mono-seat, some bling bits and a glorious Akrapovic slip-on. Tanks brimmed, backpacks loaded up, we decide to brave the rain and head out towards Bergtesgarten in Germany. The border is a mere stone-throw away, with little more than a street sign to let you know you’ve crossed over. 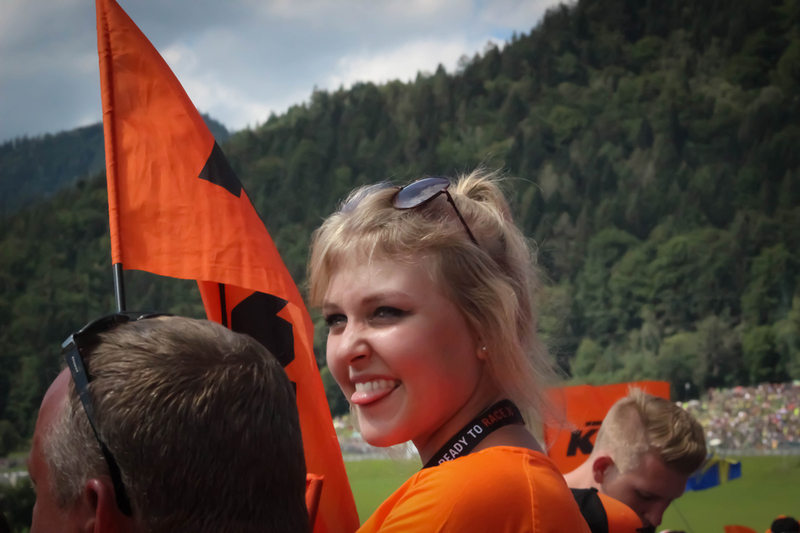 A quick fact – this is the same place you’ll find Eagle’s Nest, Martin Bormann’s birthday present to Adolf Hitler. Our first road block is navigation. The relentless rain means I’m reluctant to attach my iPhone to the QUADLOCK bar mount for fear of it getting damaged, so we make do with reading street signs and hoping for the best. We’re cold and drenched through at this point, with the equivalent of two kiddies-sized pools inside our boots. We make an educated decision to hit the highway and make up lost time. After a few hours of fairly uneventful bahn-storming, the clouds start to thin out and the rain lets up. We’re near the Austria-Swiss border and enjoying a very rare glimpse of sunlight, swapping the multi-lane motorway for twisty country roads. 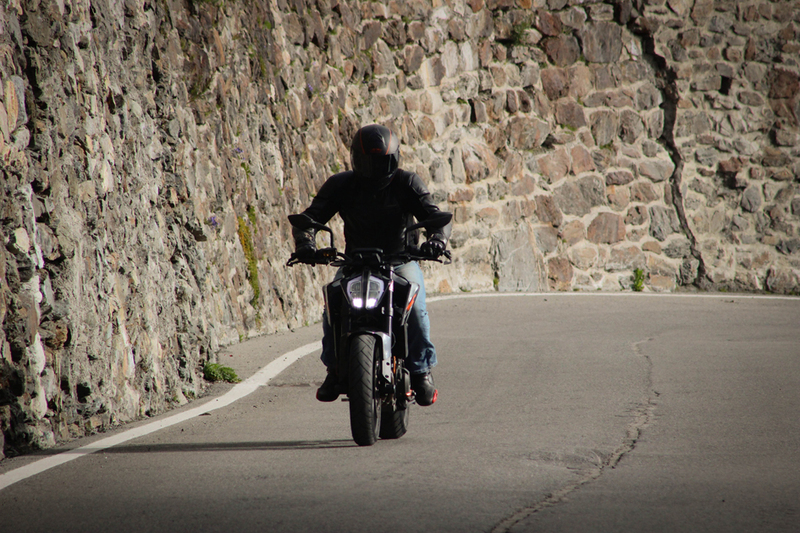 The 790 is a joy on these ribbons of tarmac which are largely limited to 80 km/h. It swaps sides faster than an ousted DA politician, slicing through corners with dogged determination. I notice the Traction Control light flash enthusiastically on a few damp corners, doing well to keep the rear end in check. While crawling through a few of the country towns, the 790 reveals one Achilles heel – it is not happy at low speeds. Throttle inputs are jerky at lower revs and it requires some care to keep things smooth. That said, when its on the boil, banging up and down the gearbox using the quickshifter is a fantastic mix of audio and forward thrust. Both bikes sound amazing even with the banana-esque standard can. The best when coming off the throttle and bouncing a symphony of pops and crackles off the rocky cuttings and passes. 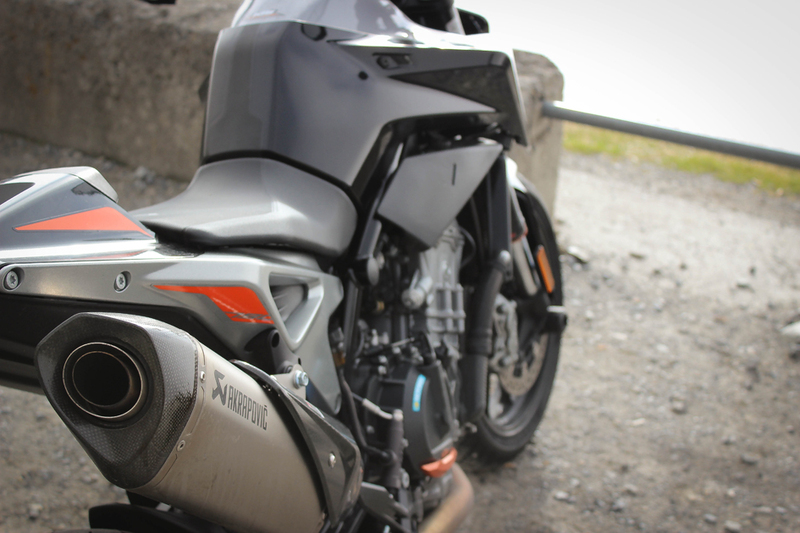 It’s worth noting too, that the bike fitted with the Akrapovic and the subsequent mapping had a much smoother throttle response and seemed to find power low down without much issue. Needless to say, we cross into Switzerland, find a beer and take a moment to thaw out. 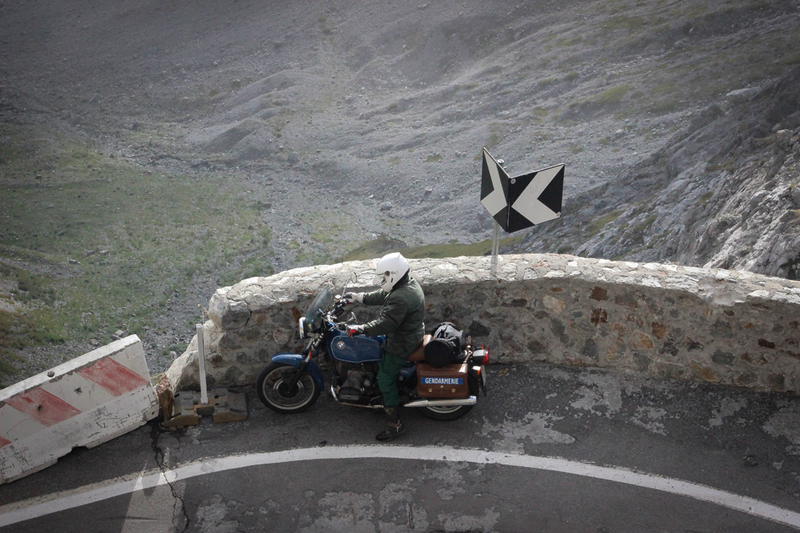 We spend the night at the aptly named Stelvio Hotel in Saint Maria. The lodgings are perfectly adequate and they have an honesty bar – winning! Santa Maria is a tiny village, mostly used as stopover for bikers and tourists. It also boasts the World’s Smallest Whiskey Bar which even features in the Guinness Book of Records. We can’t resist and chat whiskey with the bar’s owner for a while before turning in. We’re up early the next morning ready ourselves for the Passo Dello Stelvio. We’ve been told to attack it as early as possible to avoid the troves of tourist busses and suicidal cyclists which frequent the area. Almost immediately, we turn onto and start climbing the Umbrail Pass which connects Switzerland with Italy. 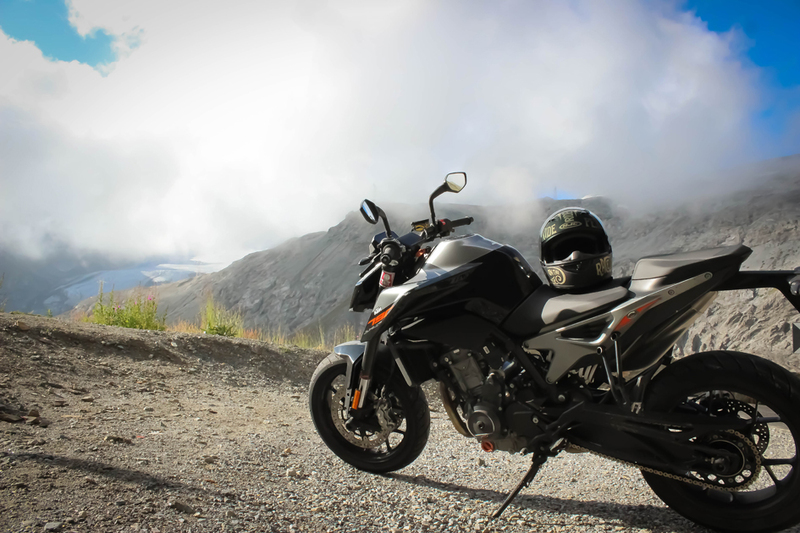 The Umbrail is a short squirt in terms of passes, but it does take the accolade of being the highest paved road in Switzerland, with a summit elevation of 2,501 metres. 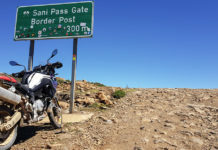 While the surfacing is infinitely better than most South African roads, some sections are merely a car-width wide, off camber and littered with marble-sized pebbles. It isn’t long before a 1st gear, gravel-strewn corner nearly claims me, but I somehow pull a Marquez and catch a vicious frontend slip with my boot. 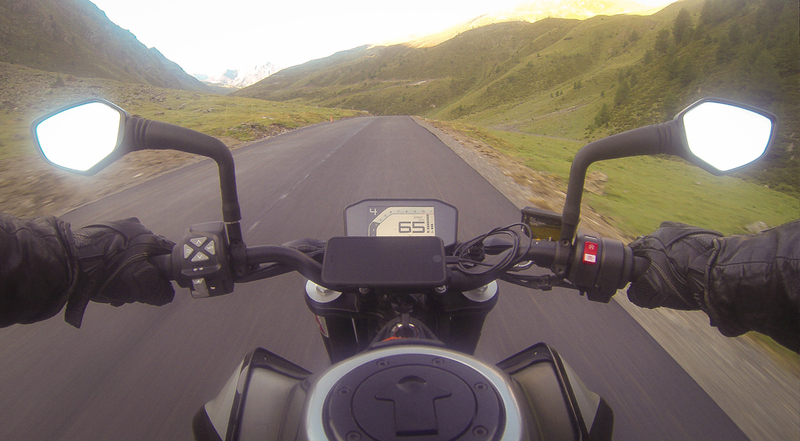 We get our first real view of the serpentine-like Stelvio as we crest the highest point and peer down onto the pass through a haze of low hanging clouds. Pictures quite simply don’t do it justice and I can’t stress enough that it should be on every keen moto-traveller’s bucket list. 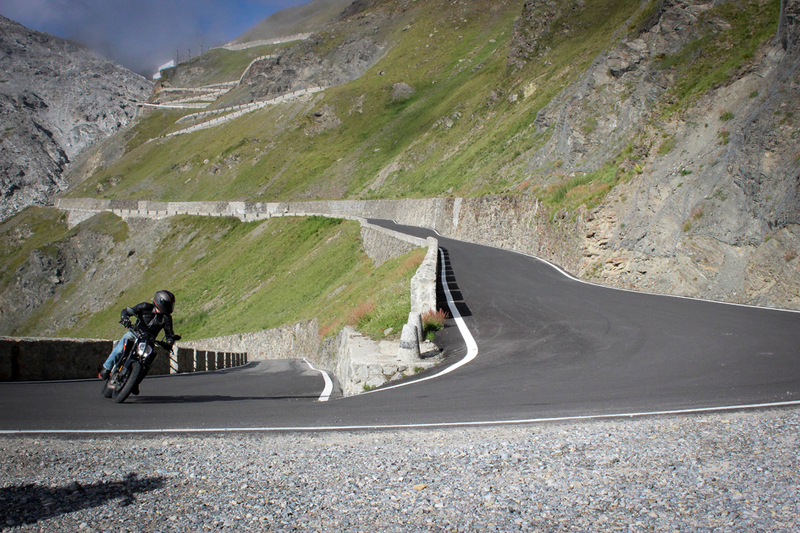 There has been a bit of work done to improve the surface of the Stelvio in recent months, but it’s far from perfect. Some areas are badly cracked and pockmarked, with rippled layers of tarmac added some drama mid-corner. That, however, doesn’t stop a local on an older model Suzuki Bandit getting his knee down just ahead of us. “He’s done this before” I think to myself as I dip into the first of a series of steep switchbacks. 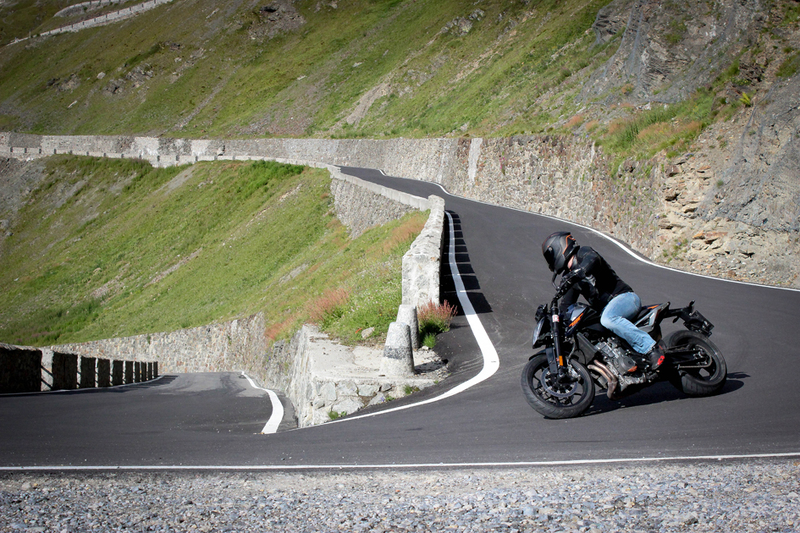 One thing that becomes eerily apparent on the Stelvio are the scars left in the tarmac by the footpegs of pirouetting motorcycles. That and bits of orange indicator and mirror glass. Make no mistake – dropped bikes are common place here. Alistair – who rides a 1290 SUPER DUKE R back home – has found his rhythm on the little DUKE and tears off ahead, blatting out of corners with the front hovering inches from the deck. I do my best to hang onto his back wheel, GoPro in tow. We later realise that the battery had died on the Umbrail Pass, and I swear at myself quite severely. I’m a little weary as we continue down the pass. You can definitely feel that the stoppers fitted to the 790 are not Brembo units. They seem to run out of puff braking from speed. But we quickly isolate this to being unique to my test bike and write if off as badly bled brake fluid. 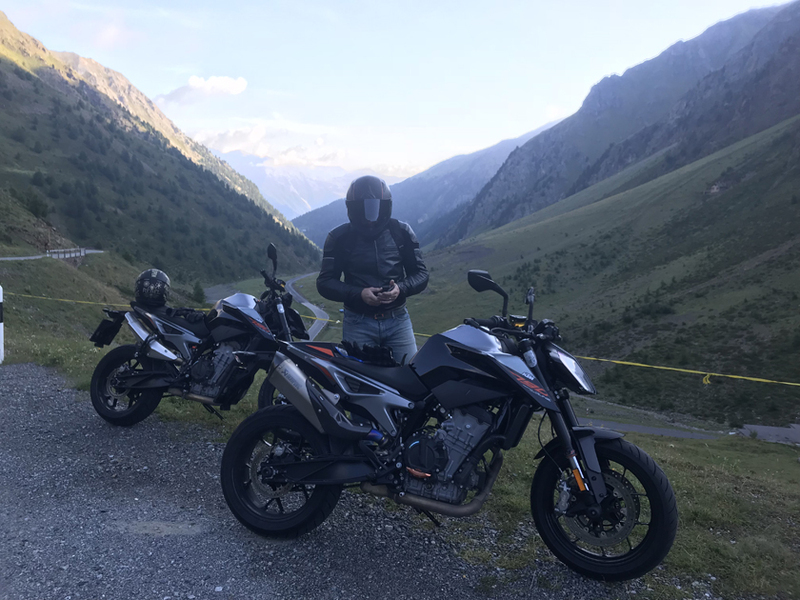 The difficulty riding in this region of the Alps is that you’re constantly being distracted by the surrounding landscape. It’s bite-the-back-of-hand beautiful, with the each vista being prettier than the next. The more we discover, the more we’re forced to stop to take it all in. Regretfully, I elect to keep stops to a minimum and miss many photo opportunities. 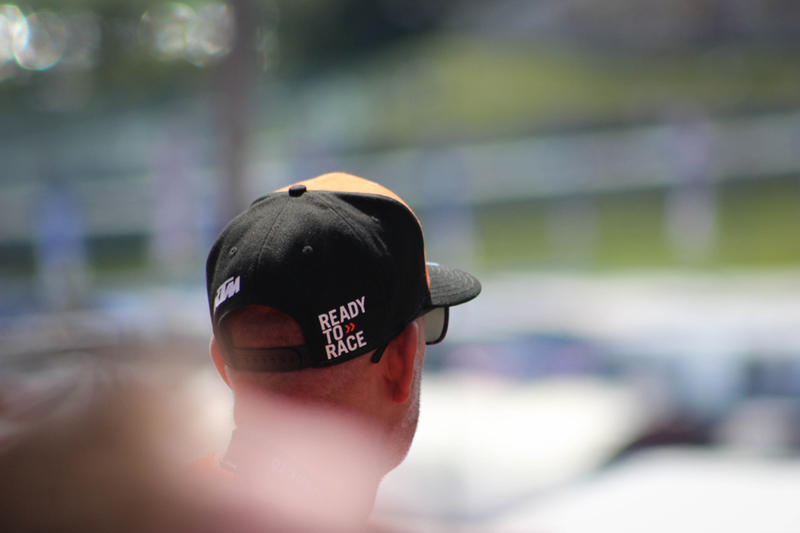 We’re on our way back towards Austria, deciding to smash the next 600 odd-kms to the track as quick as possible. We bounced between borders for a while, collecting the German autobahn between Munich and Salzburg to test the DUKEs high speed stability. It doesn’t disappoint. We settle in at between 140 and 150 km/h and plow through a few kilometers before re-entering Austria and achingly chew up a few hundred kms. With dusk slowly setting in, we arrive at our pre-erected camp via the good folks at GP Tents. It’s nothing special, but its clean bedding, a roof and we get complimentary beer at check-in. And we are a short walk away from the track. 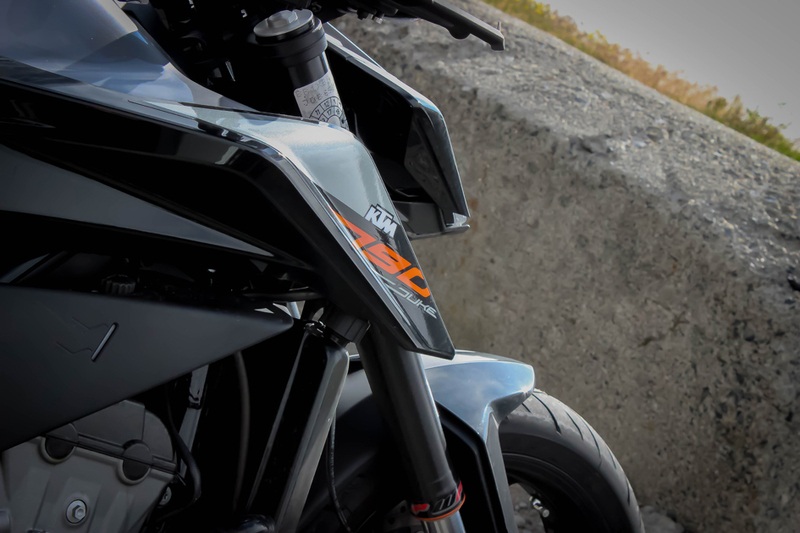 That night, the conversation quickly turns to the 790 DUKE, with the question – do you really need the beastly 1290 SUPER DUKE R? 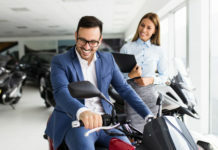 The answer is obviously a resounding ‘of course you do!’ Any self-respecting motorcyclist would understand the need to have the biggest, meanest, hyper-naked hooligan machine parked in his – or her – garage. The 790 makes a decent argument for itself. It’s ample bike for the money and really has impressed so far – besides for a numbness in my backside after hours in the saddle. This is no long-distance cruiser. But then again – it was never engineered to be. It’s Sunday morning and we’re up at dawn’s crack. 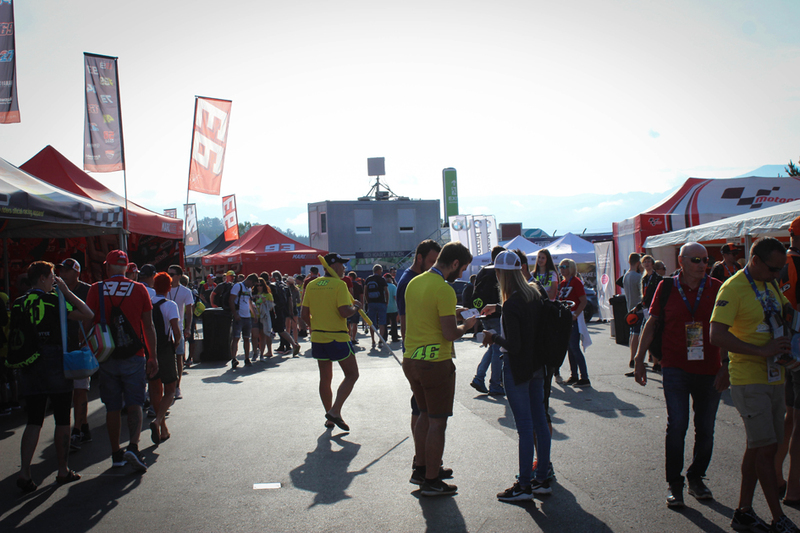 There is an unmistakable buzz in the air, and already the campsite is a hive of Rossi and Marquez supporter caps. We devour a quick breakfast and make our way trackside to avoid the masses making the pilgrimage to get to their seats. The vibe and energy of hearing and seeing these machines in the metal, tearing round a track in real life is incredible. Real goosebump-inducing stuff! Sunburnt and beer-rich, we trudge back to the campsite, rather upset that the pinnacle of our trek had come to an end. 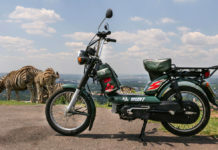 We both decide that our next GP-adventure will be a scooter-tour in Thailand in 2020. The following day we take a relaxed ride back to drop the bikes off and reflect a bit. From being completely rain-soaked on day one, to cutting up one of the world’s greatest roads, to ploughing through hours of relentless motorway kilometres, the little 790s performed faultlessly. While long-distance comfort was an issue with our, admittedly, larger bodies, we cannot blame the bikes for that. It delivered more than what we could’ve asked from it, but kept us grinning corner to corner. 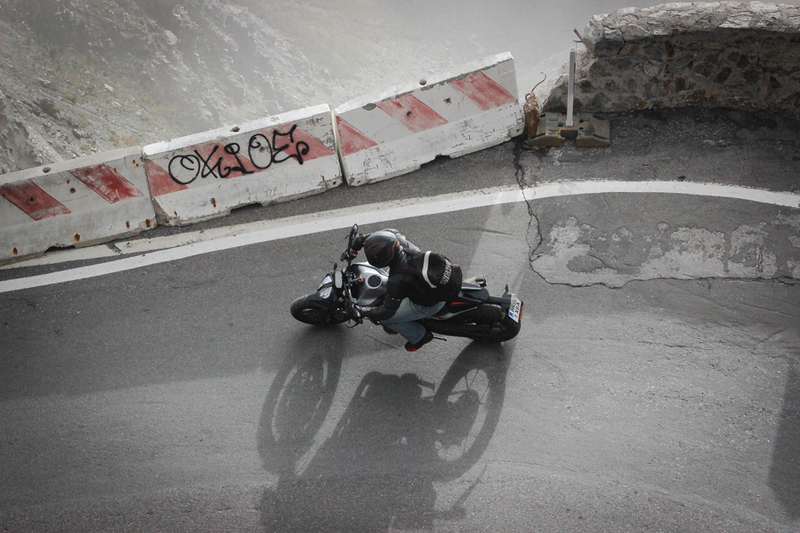 Used for what it was engineered for, as a canyon-carving mid-sized naked bike, the KTM 790 DUKE is undisputed royalty. It’s a DUKE through and through and deserves the respect it’s moniker suggests. Previous articleIndians on the loose…..